You're no Steve Jobs...and neither was he! This post was first published on LinkedIn. Congratulations! You’ve just been placed at the helm of the company. Your years of hard work and accomplishments have been rewarded with this awesome new responsibility. Enjoy the moment but don’t spend too much time celebrating. There is much work to do and expectations are high. Your employees and shareholders are expecting you to drive growth and are looking to you for immediate answers. So what’s your next move? For inspiration, you might be looking at Steve Jobs’ triumphant return to Apple in 1997. At the time, it would be putting it nicely to say Apple was in the doldrums. The company was operating at a loss. Microsoft Windows was dominant. And to add insult to injury, Michael Dell when asked what he would do if he was running Apple said “I'd shut it down and give the money back to the shareholders”. But that’s not what Jobs did. He started a period of spectacular growth by introducing a stream of innovative new products. It started with the clamshell all-in-one iMac in 1998 that became the best-selling computer in America. Then came the iPod music player in 2001, which Apple would eventually sell over 350 million devices worldwide. Then came iTunes in 2003, which disrupted the music industry and became the most popular way to buy music. Finally came the iPhone in 2007 and the iPad in 2010 dramatically changing how humans interface with technology. 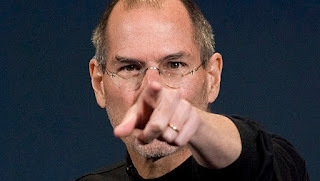 By the time he stepped down in 2011, Apple’s share price had risen over 9000% since his return. In 2014, Apple was briefly the most valuable company in the world at over $530B in valuation (take that Michael Dell!). 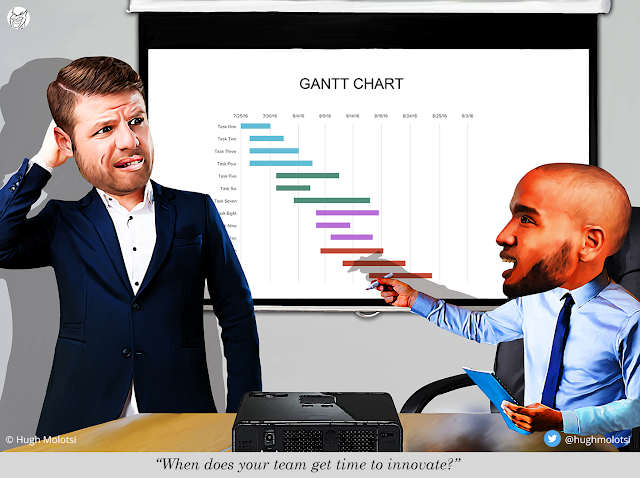 If you can deliver just one of the kind of aforementioned breakthrough innovations that Steve Jobs did, you’ll surely be a hero to all your stakeholders. All you have to do is come up with that awesome idea. Well take heart. As it turns out on closer examination, even Steve Jobs was not the ideation genius most people think he was. He actually didn’t come up with these ideas all by himself. Jonathan Ive came up with the design for the iMac case. Tony Fadell took his idea of a hard-drive based digital music player to Apple after clashing with the CEO of Real Networks. Apple employee John Casey developed the concept for the “TeliPod” (a telephone and iPod combination) in 2000. Now let’s not discount Jobs’ innovation superpowers. He was a master of design who often contributed critical user-interface improvements to products. His insistence that products be “insanely great” created a culture where employees worked hard to overcome the most difficult design challenges. He also ruthlessly prioritized, ultimately killing 70% of Apple’s products after his return. His courageous decisions to clear the forest set the stage for Apple’s brilliant resurgence. But most importantly, he created a culture of innovation from which he would curate these winning product ideas. And therein lies the answer on what your next move should be. Recognizing that great ideas can come from any passionate employee, you should establish a culture of innovation that empowers employees to contribute ideas. Give your employees time and freedom to work on their ideas so they don’t become hidden assets. Facilitate open collaboration and experimentation so ideas can develop tangible traction. Provide leadership support so that the best ideas can blossom into new products that will drive your growth. Jeff Zias and I are writing the book Grassroots Innovation in the Enterprise to provide you a roadmap on how to establish an effective and sustainable innovation program that empowers your employees to innovate. We’d love to hear from you on what your company is doing to create a culture of innovation.